India vs Australia 4th Test Sydney: Preparations have already started to celebrate India's historic Test series win on Australian soil tomorrow. India vs Australia 4th Test Sydney: Preparations have already started to celebrate India’s historic Test series win on Australian soil tomorrow. Virat Kohli and his team have a 2-1 lead in the ongoing four-match series and with a day still to go, India is firmly in command of the Border-Gavaskar Trophy. The fans (Bharat Army) gave an iconic song from the film ‘Border’ ‘Sandeshe Aate Hain’ in their own way. In all probability, the song will be sung by the fans at Sydney Cricket Ground with all the instruments. 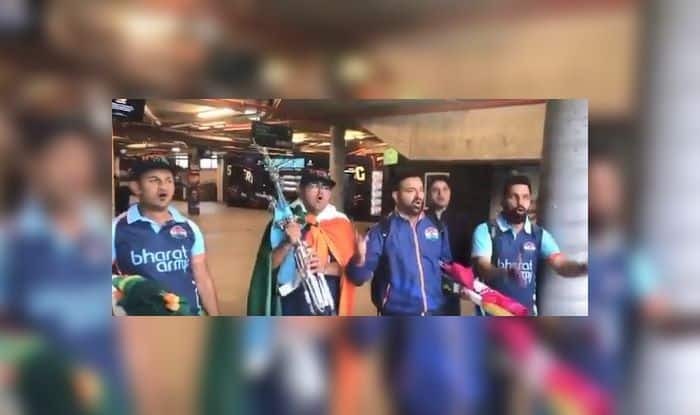 The Bharat Army has been with the team wherever they have traveled in Australia and has rooted for their idols, which may have given India the edge even though they were playing outside the sub-continent. Kohli, during his post-match presentations, has always credited the fans for the support they have provided throughout the summer in Australia. Cheteshwar Pujara, the fast bowlers and the entire Indian cricket team should be congratulated for retaining the Border-Gavaskar trophy for the first time on Australian soil. Meanwhile, Kuldeep broke a 64-year-old long-standing record as he finished with five wickets for 99 runs and became the second left-arm wrist spinner to bag a five-wicket haul in Australia.